Your home is the place that you should feel safest. We at Iwatch Security are committed to keeping it that way. 88% of all burglaries are residential and on average they occur every 13 seconds in the United States. While these statistics might sound scary, studies have shown that burglars are 60% more likely to target a different home when they see evidence of a home security system. As a Raleigh homeowner, your first priority is the safety of your family, your pets, and your property and Iwatch Security is here to guarantee your peace of mind. We are a locally-owned, veteran-staffed security company with over 25 years of experience in keeping Central North Carolina residents safe. Iwatch Security strives to provide quality home security and alarm systems, and our mission is to be the most focused security company in North Carolina. Iwatch’s home security experts have decades of experience installing, monitoring, and repairing all kinds of security and alarm systems in the Raleigh area. This means that we know exactly what your home’s particular needs will be when it comes to installing or monitoring your security system. Iwatch Security offers a wide variety of home security system options to fit with your budget and your home. We use only quality security technology proven to be durable and reliable while remaining cost-effective, so your home security system will be economical while protecting you and your loved ones. As Iwatch Security is locally-owned and locally-based, we are able to offer more options than larger security companies, and we inspect your home first to identify which security system solutions would work best for you. 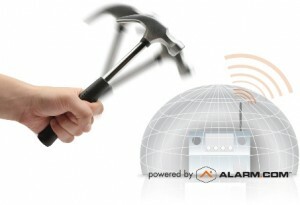 Why Choose Iwatch Security for Your Home Security System? Both national and local security and alarm system companies demand a credit check before they work with you and only then require you to sign a multi-year contract agreement – this is before they install a “one-size-fits-all” security system that may be too much or too little security for your home. Iwatch Security is invested in local Raleigh security, not just as a business but as a member of the community. You are our neighbor here in Raleigh and we look out for our neighbors. 95% of our clients that we meet with choose us over the competition and the reasons are clear – we are committed to providing you with the best, tailored security program for the right price. Iwatch is the highest-rated security and alarm system company in Central North Carolina. Our complimentary, in-person consultation ensures no money or time is wasted, which our past and current customers have really appreciated. One of our main goals is to ensure all aspects of security are touched on during the initial consultation, ensuring any prospective customers’ questions are answered by experienced industry experts. Along with that, be sure to ask us about our numerous levels of monitoring to determine which option may be best for you. By utilizing a transparent and straightforward contract, we can promise you there will be no inconvenient and troublesome contracts to deal with or opt out of. We do not retain any equipment used after the contract is signed and up, unlike several of our competitors. Rather than going down the DIY route to save a little bit of money while minimizing the effectiveness of the product itself, contact iWatch, the industry experts. There are lot’s of important questions to ask when considering installing a home security system and when deciding on a provider. If you have questions regarding the protection of your home, please visit our home security FAQs page. We at Iwatch believe that our relationship with you should be built on a foundation of trust. 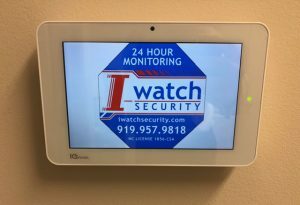 This is why we’d like to meet with you at your home for a no obligation in-home inspection so that we can show you why so many other Raleigh homeowners pick Iwatch Security over the big national chain security companies. Please fill out our form below or call us at 919-957-9818 to schedule your free consultation today!